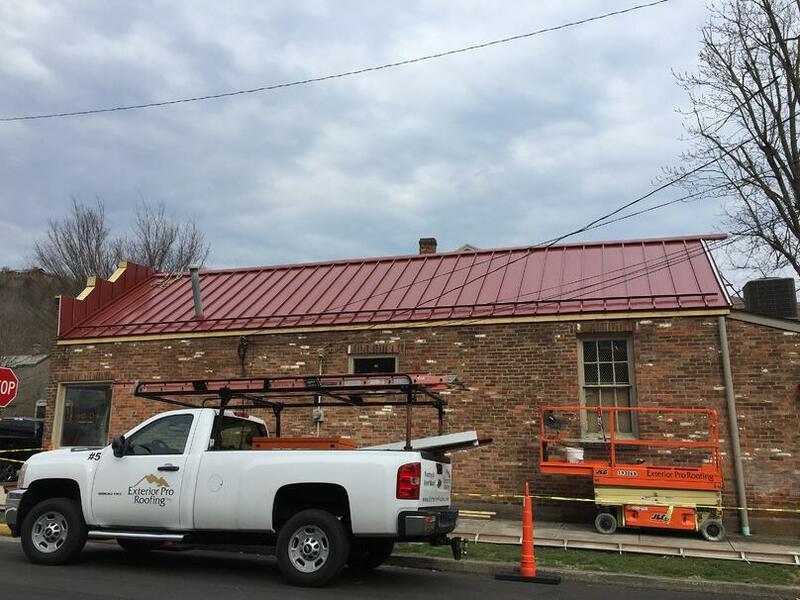 Colorful New Look For Downtown Business! 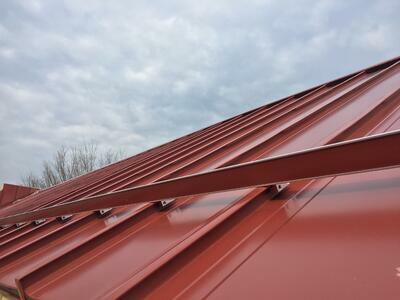 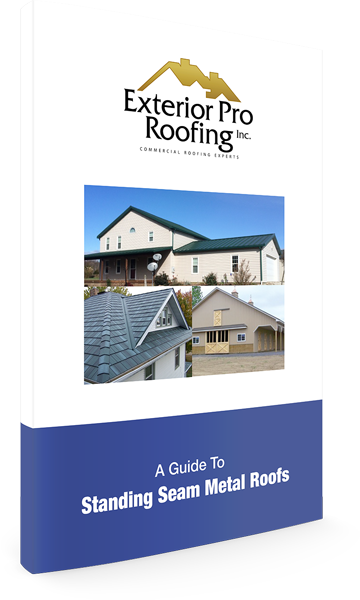 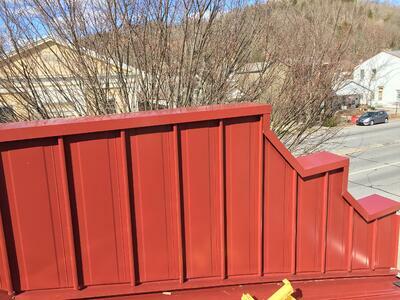 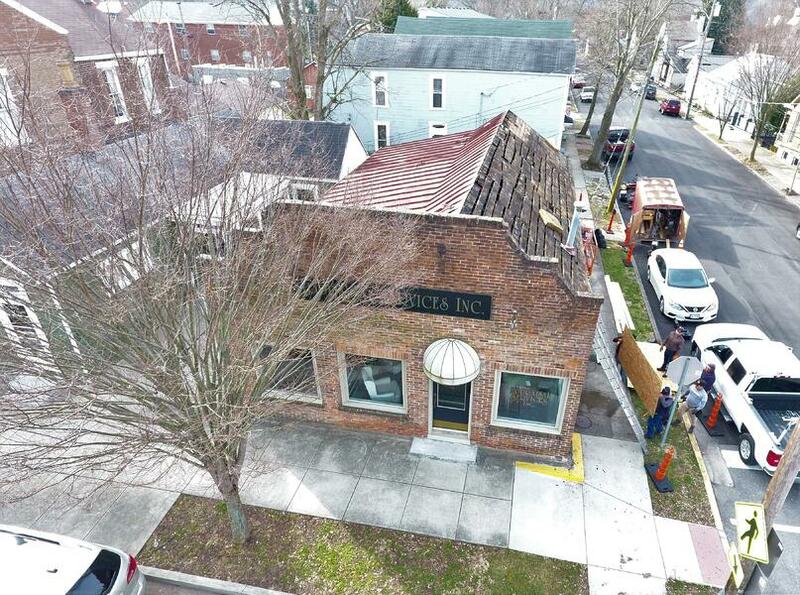 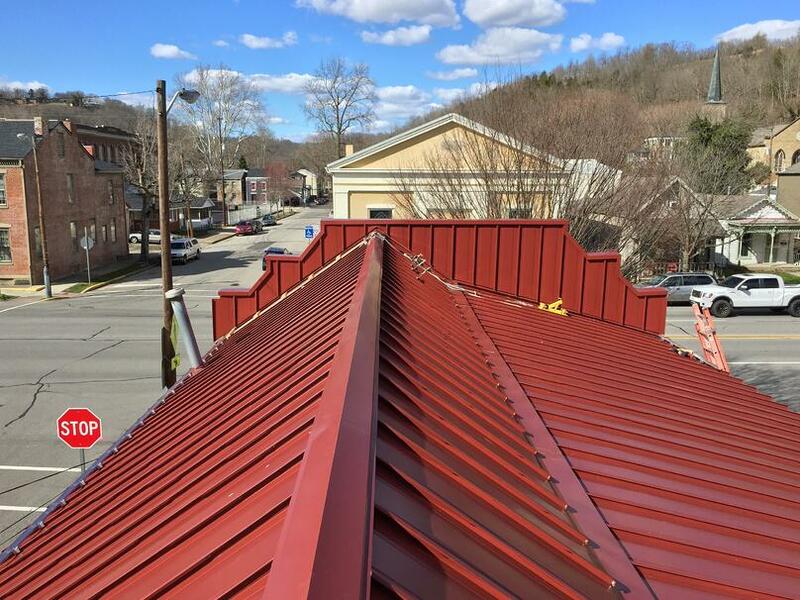 Description of Work: A local business in Downtown Madison, IN hired our guys to install a bold new section of standing seam metal roofing, boasting a brilliant red color which easily makes the building eye catching to passerby! 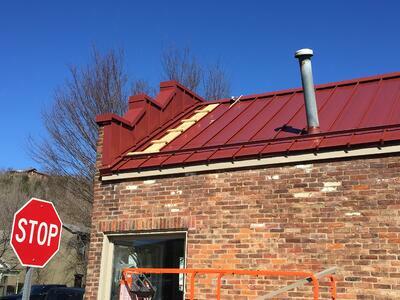 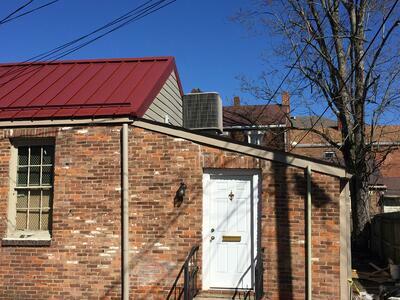 Along with the standing seam, a snow guard for future winter weather was installed, as well as coping cap to match!